On Saturday, February 10, 2018, the gymnasium at Gross Catholic High School was decked out with 76 colorful tables of 8-10 chairs each, with plentiful food and drink for some 750 pumped-up Trivia players. 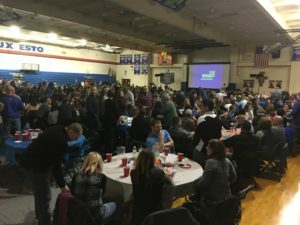 Trivia Night is one of Gross’s biggest fund raisers, and this year’s edition sold out in just days, with folks still on a waiting list for any cancellations right up to the night of the event. 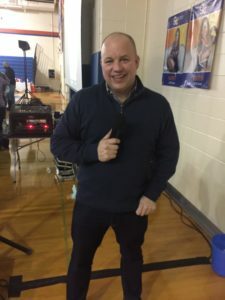 To attend Trivia Night is to understand its popularity, with countless old and new friends enjoying good food and fellowship, all to further Gross High’s mission of Catholic education. 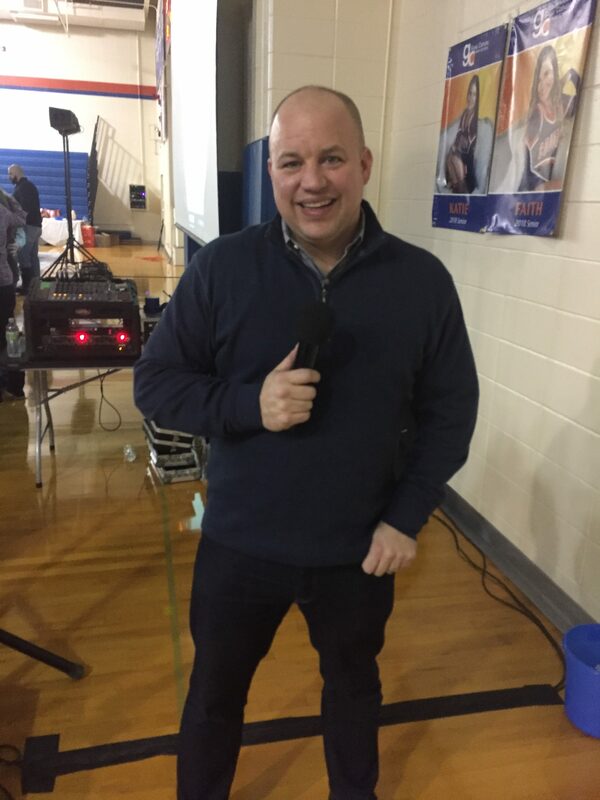 As in years past, popular Husker air personality Sean Callahan, a GHS alum, was Emcee for the event. Questions ranged from famous Nebraskans, state flags, types of cars by logos, to music and The Office. Lots of great prizes were raffled off, and, as usual, Cougar Spirit was bubbling everywhere. Midwest Sound & Lighting again used two pairs of the phenomenal JBL VRX-932 speakers, a couple Shure wireless microphones and a Yamaha mixer to provide crystal-clear, feedback free sound for the event, even in a very reverberant gym. Midwest Sound & Lighting is happy to sponsor Trivia Night, and congratulates the Gross High Cougars on another fabulous, fun, fund-raiser.